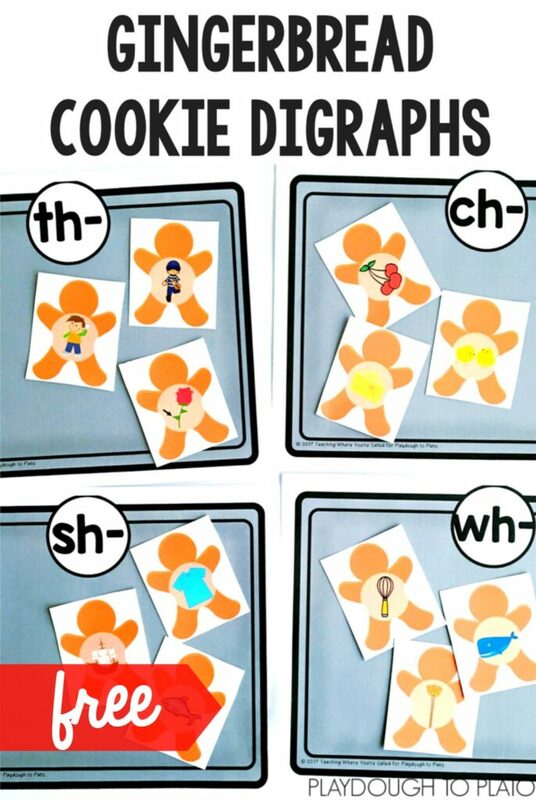 These delicious looking gingerbread cookies will make identifying and sorting digraphs fun for little learners! 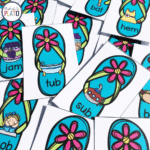 They are a perfect addition to holiday centers or morning tubs. The prep for this activity was minimal. 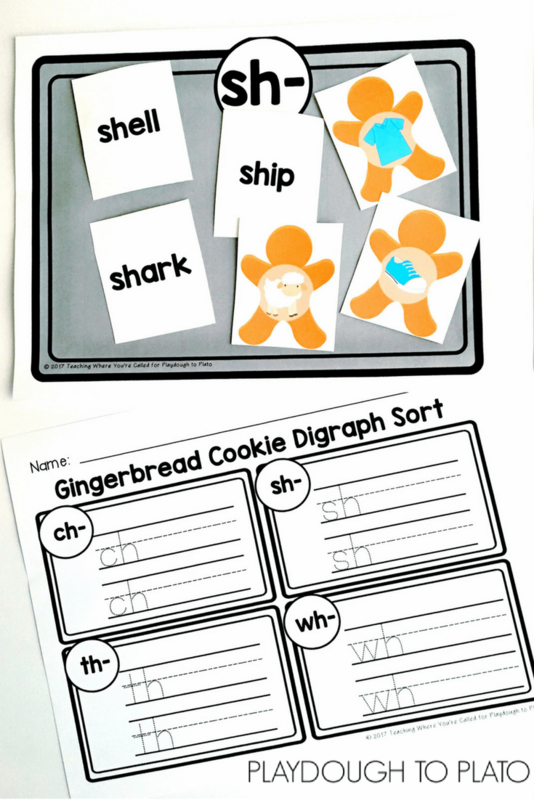 I simply printed the gingerbread cookie and digraph cookie sheets (below) on cardstock to make them sturdy. Then I ran them through the laminator to help prolong their use. 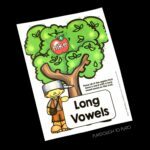 I chose to print the pages double sided, with the picture on one side and the word on the back for easy self-checking. However, if you’d rather not mess with double sided printing, you can simply print the cookie cards and leave them as is. Once everything was cut and laminated I was ready to go. 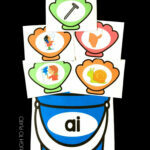 I started by spreading the four different cookie sheets on the table so that all of the digraphs were visible. I called over a group of three students. We took turns drawing a cookie from the “jar” and looking at the picture. The student who drew the card then said the name of the picture, listening for the beginning digraph, and decided on which cookie sheet the gingerbread cookie belonged. 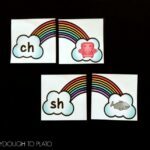 For example, when he drew the card with the picture of the sheep, he placed it on the cookie sheet with the sh- digraph at the top. When the card with the picture of a thumb was drawn, we placed it on the th- cookie sheet. We continued picking and sorting cookies until all of the cookies had been placed on cookie sheets. 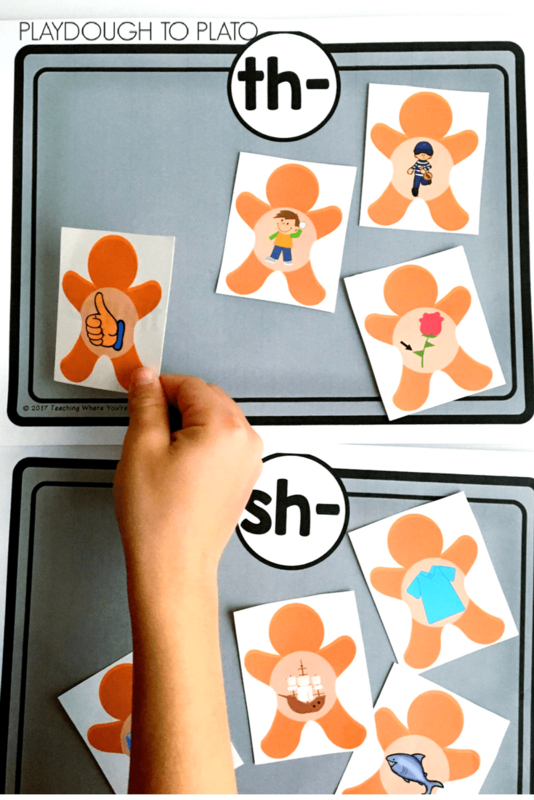 Since I printed the cards double sided, they were also able to do a self-check by flipping the cards over to see if they placed the cookie on the correct digraph cookie sheet. 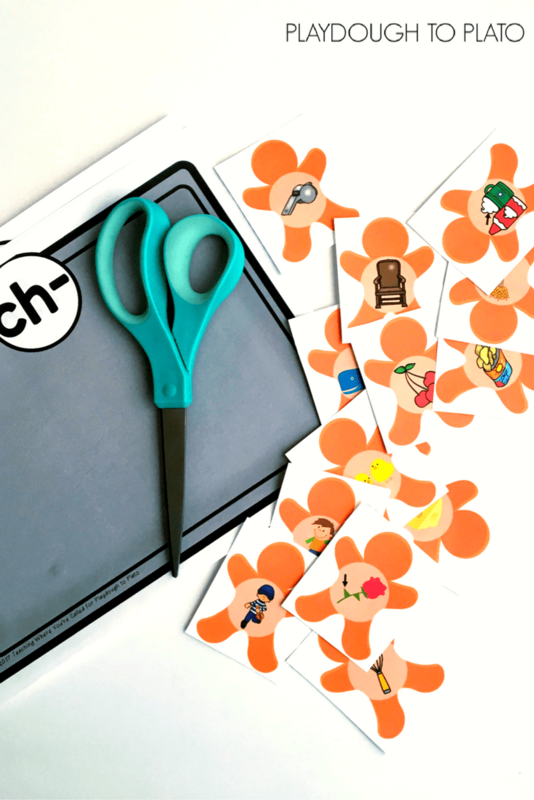 If you chose to print the cards with the words on the back, you can extend the activity with the recording sheet that is included. 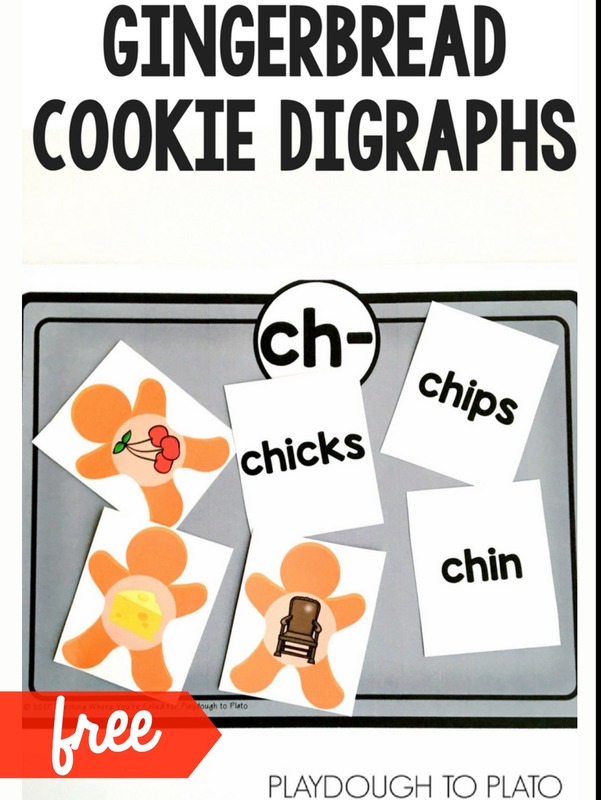 Your student will select two words from each cookie sheet and record it on the page based on the digraph. 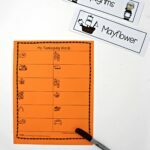 It’s a great option to include if you tend to have early finishers or want to stretch the activity for students who are ready. 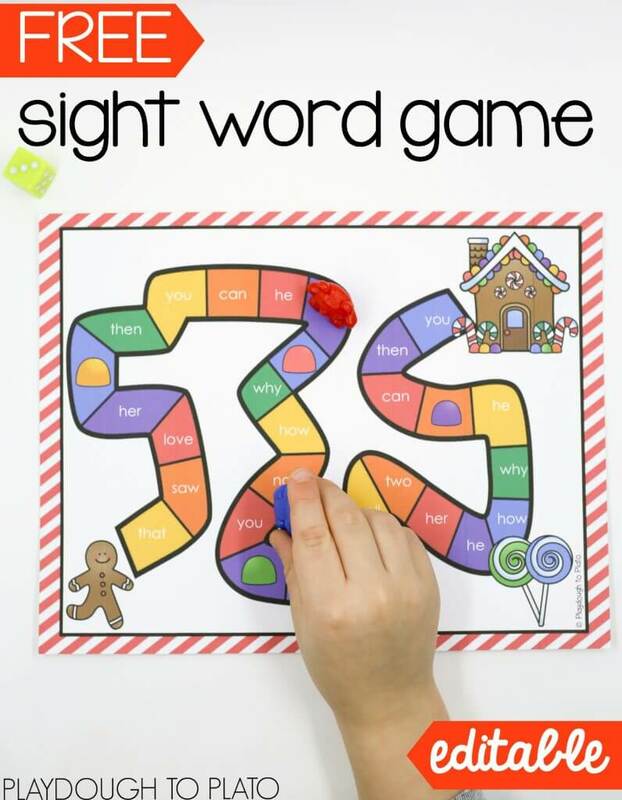 Click the blue button below to snag your copy of the Gingerbread Cookie Digraphs and then hop over to grab our EDITABLE Gingerbread Sight Word Game too!